Everyone wants to get the most bang for their buck. But unless you’ve got a measuring stick, it’s almost impossible to know whether what you’ve bought is a bang or a bust. Subjective measurements, including how you feel your program is doing, are important. But subjective measurements can’t tell the story to the Board and C-suite like objective metrics. Today we’re going to explore metrics relating to monitoring, auditing and investigations. This is Part 3 of our series. If you haven’t read Part 1, I recommend you go back and start there, as it sets the stage regarding why certain metrics should be chosen. We’ve also explored metrics that can be used with policies and procedures, which can be found HERE. What do you think would happens if you put a huge amount of energy into making the most beautiful fish tank in the world, lovingly put your fish in the tank, then never tended it again? Your fish would die. Fish tanks need to be monitored to ensure the chemical balance is right, algae are cleaned off of the slides, and that the water is changed on regular intervals, to keep the environment optimal for fish happiness and growth. The same thing is true with your compliance program. You have to monitor it to ensure it is functioning in an optimal way. It’s that time of year when the sun begins to shine longer, and the summer begins to beckon with thoughts of ice cream and laughter. As windows re-open to let in the light and breeze, many people clean up their house from months of dark and dust. This ritual clearing is frequently known as “spring cleaning.” It’s the process of washing away the old and renewing and brightening that which remains. Spring cleaning can be applied to your program, just as it can your home. It’s easy to get into a rut. Sometimes we don’t even see the dirt anymore – we just get used to it. 1. If I could start over, what would I do differently? Pretend you’re beginning again, but with the knowledge you have now. Would you entirely revamp your communications plan? Would you re-brand your whistle-blower hotline more effectively? Would you implement short-burst training intended specifically to address adult learning? By mentally giving yourself an entirely clean slate, you’ll see where the program can most benefit from change. 2. What good idea have I not yet initiated? Author Pearl Zhu defined metrics thus: “Performance metrics are numbers in context, results related to the strategic goals of the business.” I couldn’t agree more. Today we’re going to explore metrics relating to policies and procedures. This is part 2 of our series. If you haven’t read Part 1, I recommend you go back and start there, as it sets the stage regarding why certain metrics should be chosen. 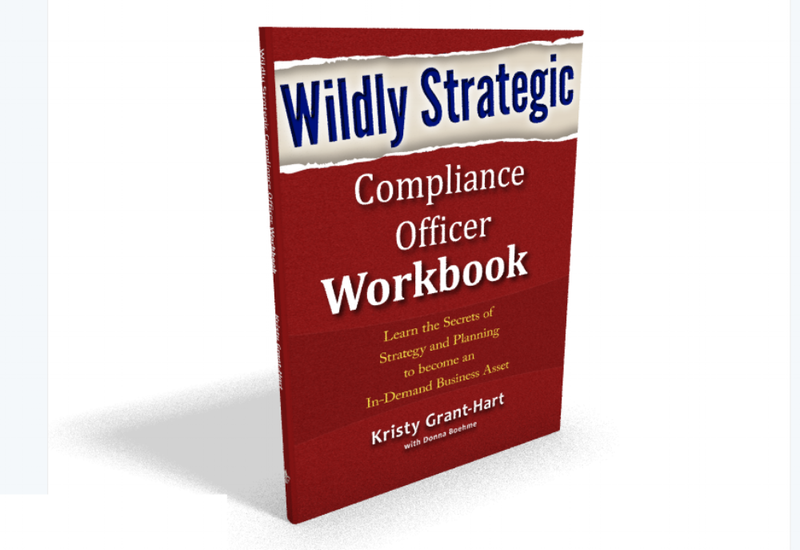 Very few things are as fundamental to a compliance program as policies and procedures. After all, how would people in far-flung places know what is expected of them if it isn’t written down? There are many considerations that go into making sure you have good policies, but that isn’t the focus of this post. This post relates to metrics that track the effectiveness of policies and procedures. Not all examples will fit your program. Metrics, by their nature, need to be tailored so that they match the maturity of your program, the nature of your business, the size and geographical expanse of your business, etc. The most important question when it comes to metrics is this: So what? Each metric needs context, so it tells a story. In addition, each metric needs to be tied to a goal or Key Performance Indicator (KPI), so you can tell if the trend is going in the right direction. Metrics without context are useless. For instance, let’s say you choose to track the percentage of the employee population that accesses compliance-related policies and procedures on the intranet. So what? Well, a growth in people accessing policies and procedures may indicate that there is an interest in the policies, and an awareness that they exist. When trying to decide on your KPI for this metric, you may find that less than ½ of 1% of the employee population accessed the policies and procedures page of your company’s intranet last year. Therefore, you set your KPI at 5% annually. The metric has now been put into context, and a KPI has been assigned to it so that it is obvious whether the company is making progress toward the goal. When you choose a metric, make sure you ask, “So what?” If you can’t answer why the metric matters, or what the goal is for that metric, choose something else. They say you never have a second chance to make a first impression. And yet, most compliance officers don’t think about how their compliance program looks to the outside world. It’s the first thing regulators, customers, potential investors, shareholders and employees see. What does your external appearance say about your company’s commitment to compliance and ethics? What are others in your industry doing? And perhaps most importantly, what are best practices in this critical space? Spark Compliance has reviewed over 120 companies in the past two months to obtain this data. You’ll learn best practices for each area, and find out how to benchmark your own program to see how it appears to the outside world. Download for free for an exploration of the new compliance benchmark. Why you should CANCEL meetings without an Agenda!